Episode 03 | Why Are Some Foods Labeled "Certified Gluten-Free"? Episode 03 | Why Are Some Foods Labeled "Certified Gluten-Free"? 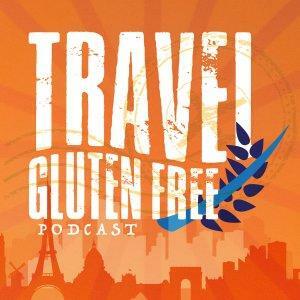 I’d like to thank my very first Patreon supporter Jeff for signing on to sponsor Travel Gluten Free Podcast! In this episode, I cover that funny little symbol (the GF with the circle around the letters) and the significance of this logo. What does it mean to be certified gluten-free? "Certified Gluten-Free" means that the product is free from gluten and the product has been verified by an independent organization. Certified Gluten Free Food: FDA has delivered a directive that to make your product certified gluten free, they must have less than 20 ppm (parts per million) of gluten in the product. Who are the organizations which certifty products and foods as certified gluten free? Currently, there are four associations who can certify foods as gluten free — the Gluten Intolerance Group of North America, the Gluten-Free Certification Organization (GFCO), the Celiac Support Association (now National Celiac Association), and the Allergen Control Group/Canadian Celiac Association are groups which presently ensure products and companies as gluten free. Similar to the different levels of organic certification for foods, the levels of gluten with each certification differs according to the company which is certifying the food. I delve into the different companies, their certifications and levels of allowable gluten per certification. Currently, over 24000 products from 800 companies are certified by GFCO around the world. Certified gluten free food means they are 100% safe for consumption by those with celiacs. If you are highly intolerant or celiac, then your diet should contain foods that are certified gluten free. Options are availble through online and phone apps to help you navigate your gluten free world. The first app is from Celiac Disease Foundation “Eat! GF”. The next app is the GF Scanner. One of my favorite companies which makes astounding gluten free goodies is Schar. Their app gives you information on their gluten free products, a list of the products characteristics, nutritional information and a picture of the product. Another app I’ve found (but have not tried yet) is called “Is That Gluten Free”. This app is $7.99 and doesn’t have rating yest in the app store, however, the description show you can look for brands and search for products. If the product has a green checkmark, it is safe and gluten free. In addition to apps for your phone, there are several online resources as well. I’d like to share with you a great resource The Gluten Project. The GFCO and GIG - Gluten Intolerance Group - webpage has a buyer and distributor guide. This guide has over 260 pages of information on certified gluten free products. Companies which sell gluten-free products such as Udi’s, B-Free and Kinnickinnick have their own company pages which show you their companies products which are gluten-free. These websites and apps will be posted along with their links on my blog at www.travelglutenfree.me For as little as $3 a month, become a show sponsor through Patreon.com and I’ll mention your name in my podcast as a sponsor, along with other great thank-you gifts including access to my private Travel Gluten Free Facebook Group! Your donation helps me cover costs for my show. Come on over and connect with me on social media Twitter and Facebook = travelGFme Youtube & Pinterest = Travel Gluten Free Instagram & the web = travelglutenfree.me Remember, you can, Enjoy food, enjoy travel, enjoy life! This is Elikqitie thanking you, my GFF (gluten free friends) for listening to my show!